When people talk about the continent of Africa, you will always hear about vast scenic landscapes, safari game drives, and the wildlife. Undoubtedly, these are synonymous with the continent of Africa.But there is much more.....another slice of life filled with rich cultures,  enlightenment, and traditions that span over many years. Tanzania is rich in cultural diversity. There are approximately 120 Tanzanian ethnic groups. Then there are immigrants from the rest of the world as well. The native tribes are predominantly of Bantu origin and represent 95% of the inhabitants in Tanzania. The Nyamwezi are the second largest ethnic group in Tanzania.They are an ethnic group that migrated from Central Africa.Their ancestral homeland is in the Tabora Region, Shinyanga Region, Singida Region and the Katavi Region. Nyamwezi is Swahili in origin translating into "people of the moon" and also means"people of the west". Swahili: Usipopata taabu hujawa mtu.English :Suffering is prior to attaining success or perfection. 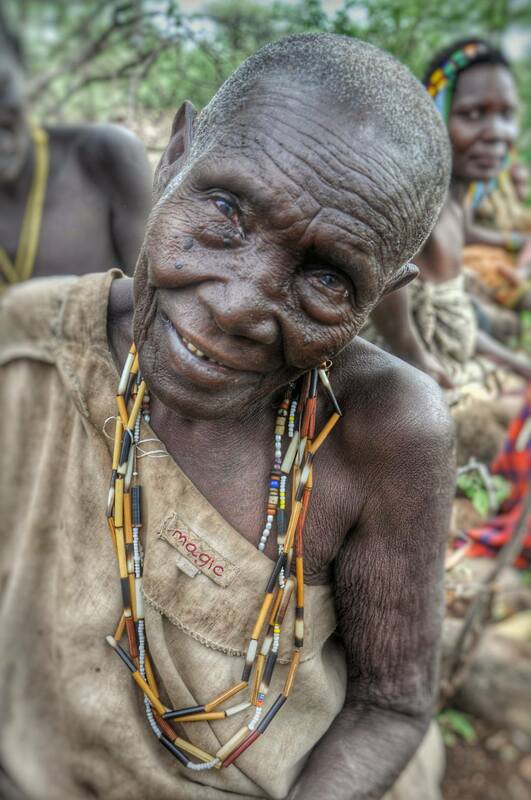 The Hadzabe tribe lives remotely in caves apart from other people around Lake Eyasi. Hadzabe's, also called  'Hadza’s' are Africa hunter-gatherers. The Hadza wanderers  do not keep livestock or even grow food. They wander in groups. Each day starts with bows and arrows ,hunting and foraging fruits and veggies. The Barbaic Nomads, located in the Eyasi region in the west of Tanzania  have amazing skill to make miracles from trash. The Iraqw, of cushitic origin are located in the Mbulu highlands. They are withdrawn group that grows their own food and tend cattle.They avoid selling animals or crops unless it is crucial. Located in the Kagera,Tanzania.The Haya language is a Bantu language dialect. Originally known to be skilled metal workers. The modern age of Haya people are cultivators.Traditionally the Haya lived in dwelling in a shape of a beehive without any walls but thatched from the roof to the ground. 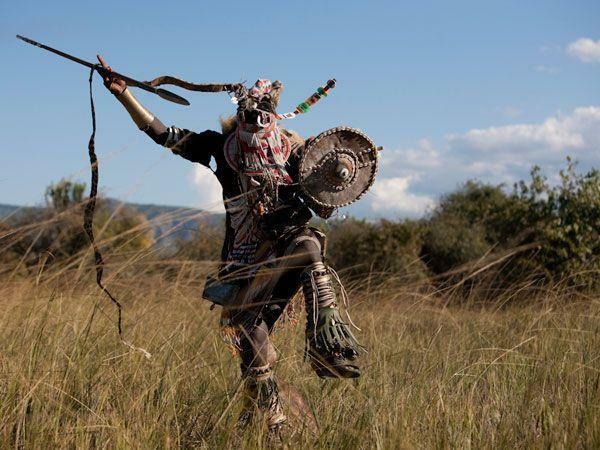 Mtowa Mbu are from the  Lake Manyara, a diverse Arusha tribe in the entrance to the Manyara national park. Visitors get to see local produce from palm oil, baskets, papyrus mats and banana beers . Visiting the Wakurya Boma from in the west of Serengeti brings an experience of the traditional Wakurya lifestyles and food with traditional dancing and even possible traditional healer visits. Maasai                                                                  A Nilotic ethnic group that is native to Kenya and Tanzania. They are mainly herders. The  Maasai culture has remained unaltered involving a rich oral songs and literature . The Digo                                                                A Muslim tribe living in the north of Tanzania and east of Kenya,they are concentrated on the Northern Tanzania coastal strip on  Pangani River fertile plains  between the Indian Icean and Usambara Mountains. Fishing, farming and trading are main income sources.The Digo are talented in song storytelling and song rituals  . Makonde, Kwaya, Gweno, Hehe, Ha, Ikoma, Mande, Akiek, Kamba, Alagwa, Gorowa, Balouch, Bembe, Kisi, Kutu, Kwavi, Luo, Luguru, Bende, Magoa, Dhaiso, Zaramo, Yao, Zulu, Zinza, Zyoba Ware, Timbuka, Wanda Zigula, Swahili, Tutsi Twa, Vinza Nyaturu, Nindi Ngoni, Kerewe, Ndonde,Kimbu and many more. Karibu ! Welcome to Tanzania….. Previous Previous post: ONLY IN TANZANIA! PART ONE: Why choose Tanzania as a travel destination?